Biography* � Jenkins Comer Whitehead of 295 Milledge Hgts. died January 20, 2000 at the age of 84. Mr. Whitehead attended Chase Street and Childs Street schools. He graduated from Athens High School in 1932 with honors. He received his BS degree from the University of Georgia in 1936 and was a member of the Phi Kappa Phi Honorary Scholastic Society. Mr. Whitehead was a member of Chi Psi Fraternity while in college and after graduation was faculty adviser from 1936 through 1964, a period of 28 years. He was vice-president and secretary during college, 1932-1936. He was chairman of the building committee to raise money to build the present lodge at Wray and Lumpkin Streets in 1960. He served three years on the National Chi Psi Fraternity Executive Council, 1957-1960 and received the National Fraternity Distinguished Service Award in 1960. The Jenkins Comer Whitehead Award is presented to the outstanding Chi Psi Fraternity member each school year. He began working at the University of Georgia in 1936 and became head of the IBM Department, the forerunner of the present day computer department, in January 1939. This department was used as a pilot for universities throughout the United States. In 1968 he became assistant to the vice-president for business and finance. He retired from the University of Georgia in 1982, after 46 years of service. He served on the city council for 22 years and was mayor pro-term under Mayor Wells, Snow and Bishop. He was chairman of the finance committee 8 times during his 22 years of service and served as chairman of all of the standing committees during his 22 years. He was a member of the First Methodist Church and on the Administrative Board for 1954-1982. He served as chairman of the administrative board four times and was four times lay leader during his tenure on the board. He served as chairman of the building committee when the present church was remodeled and was instrumental in getting all pews and chancel furniture donated by members. He served 20 years as the church trustee from 1966-1986. He served on the board of directors of the YMCA for ten years and was treasurer of the YMCA building committee from February 1962 until the completion of the present YMCA on Hawthorne Avenue. Survivors include a wife, Virginia P. Whitehead of Athens, a daughter and son-in-law Mr. and Mrs. Joseph Michael (Dottie Whitehead) Garner of Tucker, GA., a son and daughter-in-law, Mr. and Mrs. Robert Comer (Kathryne DeVore) Whitehead of Peachtree City, Ga., four grandchildren Jason Comer Whitehead, Kristopher DeVore Whitehead, Karen Taylor Flanders, and Kenneth Gregory Taylor, and two great-grandchildren, Deanne Nicole Flanders and John Graham Flanders. Funeral service will be at 11 a.m. Saturday, January 22, 2000 graveside at Oconee Hill Cemetery with Rev. Bill Britt officiating and assisted by Rev. Gradey Wigley. Honorary pallbearers will be John Bondurant, Julius Bishop, Johnny Fowler, Allan Barber, Bob Bugbee, Lamar Wansley, Gerald Duke, and L.W. Eberhardt. The family will receive friends at Bridges Funeral Home from 5-7 PM Friday evening. In lieu of flowers make contributions to the First United Methodist Church of Athens, 327 N. Lumpkin St. Athens, GA. 30601. A graveside funeral service for Jenkins Comer Whitehead, who established a forerunner of the computer science department at the University of Georgia in the late 1930s, and served as assistant to the university's vice president for business and finance, will be held this morning in Oconee Hill Cemetery. Whitehead died Thursday at the age of 84. Whitehead received a bachelor's degree from UGA in 1936, and three years later, became head of the university's IBM Department, a predecessor of the present-day computer science department. The IBM Department became a model for universities across the country. In 1968, Whitehead was named assistant to the vice president for business and finance at UGA. He retired in 1982, after 46 years at the university. He was a member of the Phi Kappa Phi honorary scholastic society, and a member of Chi Psi fraternity while at UGA. After graduation, from 1936-64, he served as the fraternity's faculty adviser. In 1960, he chaired the committee that raised money to build the fraternity's current house at Wray and Lumpkin streets. In addition to his work with the university and fraternity, Whitehead served for 22 years on the Athens City Council, beginning in 1954. He was chairman of the finance committee eight times during his 22 years of service. During his tenure on the council, he served as chairman of all of the council's standing committees. The Jenkins Comer Whitehead Award is presented to the outstanding Chi Psi Fraternity member each school year. At First United Methodist Church, Whitehead served on the administrative board for 28 years, from 1954 until 1982. Whitehead also served on the local YMCA's board of directors for 10 years. He was treasurer of the YMCA building committee from February 1962 until the completion of the present YMCA on Hawthorne Avenue. Bondurant particularly remembered Whitehead's work with First United Methodist Church, and his service on the building committee. Allan Barber, senior vice president for finance and administration at UGA, said Whitehead helped the university add computers to its offices, and modernize its business practices, across the eras of two UGA presidents. ''He probably was the most important link from the J.D. Bolton era to the Fred Davison era,'' Barber said. In the arena of public service, there are the flamboyant types who seek out the spotlight. Their efforts often produce more sizzle than substance. Then there are the unassuming ones who remain in the background quietly going about their business and getting things done. Comer Whitehead, a career University of Georgia administrator and longtime Athens City Council memeber, fell into the latter category. Mr. Whitehead, who died last Thursday at the age of 84, was a dedicated public servent, devoting 46 years of his life to his alma mater and serving 22 years on the Athens City Council. At UGA, he was a pioneer in the development of computer technology and later assumed duties as assistant to the vice president for business and finance. On the City Council, he was mayor pro tem in three administrations, chaired the powerful Finance Committee for much of his tenure and headed all of the committees of council at least once during his more than two decades at City Hall. A native of Athens and a product of the local school system, Comer Whitehead was one of a handful of dedicated individuals who helped bridge the gap between Athens and the university, promoting understanding and cooperation between town and gown. Not only was Mr. Whitehead effective as an official of UGA and dthe city of Athens, he was a leader in his church, First Methodist, and remained an influential force in his college fraternity, Chi Psi, throughout his life. William Wallace Peacock , Jr.
E-mail written Jan 2008 to Warren Culpepper from Mike Tebo (gs/o #7332), e-mail address. Not Named Culpper, Son, M, Wh, 2, S, MS/MS/MS. Mathew Martin Culpepper, 25 RFD#1, Mount Olive, Covington Co., MS, age 41, born 19 May 1877, White, Farming for self at 25 RFD#1, Mount Olive, Covington Co., MS. Nearest relative: Mary Culpepper (Wife), 25 RFD#1, Mount Olive, Covington Co., MS, /s/ Mathew Martin Culpepper, Medium height, Medium build, Gray eyes, ? hair, No disabilities. 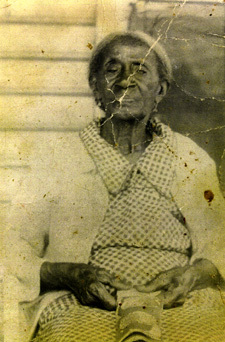 Registered 12 Sep 1918 in Collins, Columbus Co., MS. Biography* � T. J. Ryon was an independent cattle trader who worked in connection with the Fort Worth Stockyards. A story handed down in the family say that he was so well thought of that he was allowed to buy the first herd of cattle that arrived at the new Fort Worth Stockyards. I've been told that a picture exists that shows him leading that herd in. He was a big man with a handlebar mustache. "On March 14, 1908, the first indoor cutting horse competition ever held in the world took place inside the Fort Worth Coliseum, illuminated by electric lights and watched and applauded by thousands. Entrants in this historical event were .... T. J. Ryon ...."
2) Fannie L. Ryon, b 1862. 3) Sarah A. "Sallie" Ryon, b 1866. Letter of unknown date found in Elanor Boykin papers from 'Margaret' who referred to 'Daddy Jimmy', Lethea, 'Uncle Basil' (who "married Bess Pierce Jones, a widow, in 1959, and they seemed very contented"), and Bess (who wrote that Uncle Basil was buried next to Nancy, "the one Irma didn't like, and who died many years ago." Ginger is a professional Fench Hornist, and the first to break the "glass celing" at the Boston Symphony.